The Bear Paw Pond Conservation Area in the Hazen's Notch area of Montgomery, Vermont is a privately owned nature preserve that is open to the public on a limited basis. The 110-acre property was purchased by the Anderson Family in 1990. 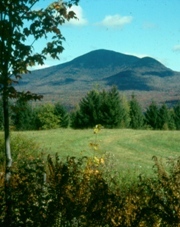 This land was purchased in 1990 to serve as the basis of the Hazen's Notch Association. It is the center of activities for the Association's Summer Camp. At the entrance to the property along the Hazen's Notch Road is a small grassy clearing surrounded by a wooded glade. Here are perennial flower beds that feature a wide variety of spring-flowering bulbs and mid to late summer blooming plants. Just beyond the Trails Building is Little Rock Pond, home to numerous frogs and salamanders. There is a small parking area on the right after turning in the one-lane driveway marked 1000 Hazen's Notch Road . Park here and see the information sign board by the parking lot for current information. Walk up the gravel driveway through the gateposts to reach the trails. L'aire de conservation Bear Paw Pond est une réserve naturelle privée ouverte au public. Cette terre de 110 acres est située sur le chemin Hazen's Notch Road, dans la municipalité de Montgomery, au Vermont. Cette propriété fut acquise en 1990 par la famille Anderson dans le but d'y établir le camp d'été Hazen's Notch. Ce camp est une des nombreuses activités proposées par l'Association Hazen's Notch (HNA). 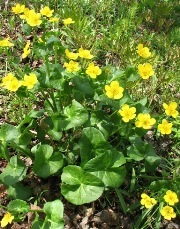 La forêt, peuplée de feuillus et de conifàres, comprend une grande variété de flore et de faune indigàne. Un plan d'aménagement forestier a été réalisé dans le but de restaurer l'habitat faunique et pour assurer la regénération de la forêt. 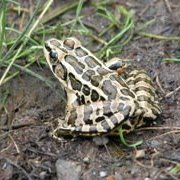 Un réseau de sentiers offre de nombreuses possibilités pour la marche et l'observation de la nature. Les sentiers sont ouverts de la mi-mai à la mi-novembre. Nous demandons aux visiteurs de respecter les limites de la propriété ainsi que les réglements inscrits sur enseignes du stationnement. L'aire de conservation Bear Paw Pond comprend une variété d'habitats en terrain montagneux, soit des forêts de feuillus, des forêts mixtes, des forêts de conifères, des cedrières et des prucheraies. Il y a aussi quelques petits prés, ruisseaux et étangs. Plusieurs espèces d'oiseaux nichent et se nourrissent dans ces microhabitats. Dans les érablières, on peut y entendre des grives des bois, des grives solitaires et des parulines couronnées de jour, ainsi que des chouettes rayées la nuit. Dans les forêts mixtes matures, on retrouve des tangaras écarlates, des cardinals à poitrine rose, des parulines bleues et des parulines à gorge noire. Les prucheraies sont propices aux troglodytes mignons et aux parulines à gorge orangée. Les endroits ensoleillés attirent les parulines masquées, les chardonnerets jaunes et les moucherolles phébis. Du mois de mai jusqu'à l'automne, un tapis de fleurs sauvages et de fougéres couvrent le sol. Ce mélange de couleurs et de textures, agrémentés du chant mélodique des oiseaux, feront de chacune de vos randonnées une expérience inoubliable. En hiver, l'accès aux sentiers se fait à partir de l'Accueil (Welcome Center), situé au 1423 Hazen's Notch Road. The Bear Paw Pond Area encompasses a sloping forested region with a variety of habitats - including deciduous woods, mixed deciduous and evergreen woods, northern white cedar woods and hemlock ravines with a few small meadows, streams and ponds. 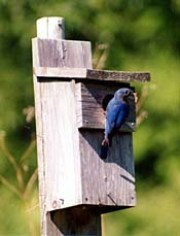 Many bird species feed and nest here in the many micro-habitats - such as maple woods with Wood Thrush, Hermit Thrush and Ovenbird vocalizing by day and Barred Owl by night; mixed mature woods with Scarlet Tanager, Rose-breasted Grosbeak and Black-throated Blue and Black-throated Green Warblers; and cool hemlock woods with Winter Wren and Blackburnian Warbler. Sunnier areas attract Common Yellowthroat, Chestnut-sided Warbler, American Goldfinch and Eastern Phoebe. Many wildflowers and ferns cloak the ground and add color and form throughout the seasons which, in addition to the birds, create an experience that delights the eyes and ears of a visitor who walks the woodland trails from May through Summer and into Fall. In areas where full sun conditions exist over low shrubs, young trees, ferns and brambles, there are opportunities to enjoy year-round resident birds and migratory Summer birds. 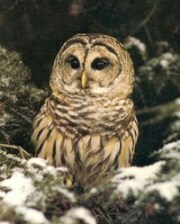 Year-round resident birds here include Blue Jay, Black-capped Chickadee, Wild Turkey, and Ruffed Grouse. 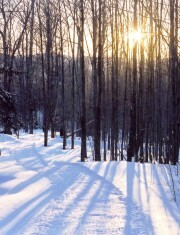 We can discover their tracks in the snow and hear their contact calling through the crisp air of Fall and Winter. To this backdrop, Spring and Summer add colorful and songful species such as Indigo Bunting, Chestnut-sided Warbler, Northern Yellowthroat, Gray Catbird, and Song Sparrow. 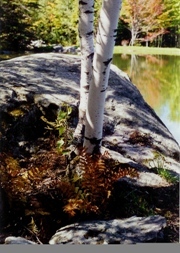 The abundant sunshine and and ample rainfall make conditions very good for several vegetation types: Cinnamon Fern, Interrupted Fern, Hay-scented Fern and New York Fern; Wild Raspberries and Blackberries and Early Blueberries; and flowering Shrubs such as Spiraea, Chokecherry and viburnums and dogwoods. Wildflowers include goldenrods, asters and a host of Summer blooming delights. Many of these plants provide cover, nesting habitat and food for birds. In return, the birds help spread the seeds of some plants by eating the fruits and dropping seeds at random. With the forest not far away, we can listen for bird species of that habitat: Hermit Thrush, Black-throated Green Warbler, Black-throated Blue Warbler and Ovenbird. On a mild afternoon in early July, while walking the Lower Wood Fern Trail to Wall Street and up to Upper Wood Fern Trail, I had the pleasure of hearing from this open shrubby area beyond the corner stone walls the energetic, loud territorial song of a male Mourning Warbler. This bird is not as common as the other species and always a treat to hear. It is named for the gray-black hood that covers its head, neck and shoulders. Through its song, the bird spoke of this habitat as perfect for its preferred nesting site; and the habitat welcomed this species with open leaves, branches, food and cover. Bicycles are not allowed. Visitors must park in the parking area at the entrance to the property. Please do not collect plant material. The entire area closes at sunset. Fishing, Swimming, Fires, Camping, Motorized Vehicles & Bicycles are not allowed. Dogs must be on leash at all times but are not allowed in Winter. Trails are closed to everyone during Spring mud season, from April 1 to May 21. Although hunting is not allowed, Hikers should limit their outings to walking local roads during Hunting season and Spring mud season. Professional foresters and ecologists have made detailed inventories and assessments of the flora and fauna present. 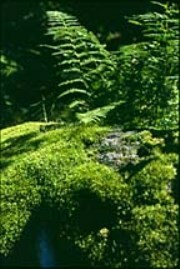 Numerous areas with rich forest soils and mature trees provide ideal conditions for woodland plants. 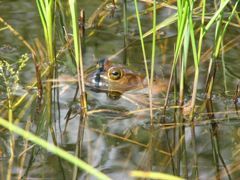 The Stewardship Management Plan emphasizes biological diversity and forest health, protection of wetlands, and maintenance of small openings in the forest to benefit wildlife. The largest live elm in a forest setting in Franklin County grew in a portion of the property where rich soils support some very large and healthy trees to this day. The land was part of the Curt Hart farm during the middle of the 20th century and was open land - pasture - up as far as where Bear Paw Pond is today. The original Curt Hart Farm was a little more than 200 acres in size. Mr. Hart sold his land in 19?? to a New York City couple who lived in the house that is just after the end of the paved portion of the Hazen's Notch Road. Cows were last grazed here in the 1960's by a neighboring farmer. The area uphill from Bear Paw Pond was always mostly forested. 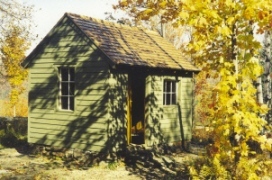 There are numerous old sugar maples, many sap collecting pails scattered about, and the remains of an old sugar house in the western part of the property that had been a sugar bush. From the entrance to the property up to Bear Paw Pond, the young forest has mostly red maple trees that have grown since the end of Curt Hart's ownership. The benign ownership of the New York City native ended when the New Yorker sold the former Curt Hart Farm (200+ acres) to a local real estate developer. The local developer subdivided the property and created three 4.5-acre lots and numerous 10-acre lots. At the point that the Anderson Family started discussions with the developer, there was one 4.5-acre lot and 94 undivided acres remaining. The developer intended to create 10-acre house lots from the 94-acre parcel. The old tractor path leading uphill into the parcel would have become a two-way access road for the housing development. The Anderson Family purchased the two parcels in 1990 to prevent further subdivision. Ten years later they purchased an adjoining undeveloped 10-acre lot from one of the people who bought a subdivided parcel in the late 1980's. Currently the Bear Paw Pond Conservation Area is 110 acres in size. 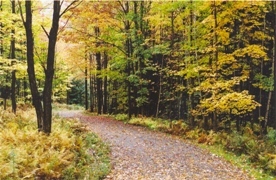 The old tractor path is now an improved wood road that serves as a cross-country ski trail in winter and a walking route mid-May through mid-November. The Anderson Family began by consulting with Jim Tessman, Franklin-Grand Isle County Forester. Mr. Tessman visited and discussed plans for landscape restoration, forest management and creation of a children's summer camp. We are grateful for his advice, support and strong encouragement. The Andersons spent 4 years working with Marty Lumbra, Robert B. Anderson (no relation), Kevin Conneely, Charles Fichman and Jerry Mayhew to gently improve the site. This 110-acre portion of the former Curt Hart Farm has been protected from subdivision. The forest has been protected from fragmentation. The Stewardship Management Plan emphasizes biological diversity and forest health. Audubon Society guidelines for improving conditions for forest birds have been incorporated into the Stewardship management plan. A small area has been lightly developed to create a small summer camp for children. 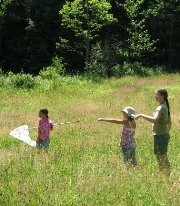 The summer camp is a nature and adventure camp, emphasizing environmental education. The wood roads that had been left in bad shape by a local logger have been restored. 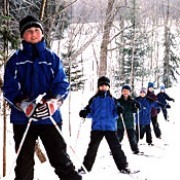 Many people enjoy walking, cross country skiing and snowshoeing within the Bear Paw Pond Conservation Area and as they pass through on the network of trails that are managed by the Hazen's Notch Association. Please observe the rules mentioned here and posted at the property. Larsen, Denis. traducteur; Bear Paw Pond - Aire de Conservation . Benjamin, Deborah; Natural History of the Bear Paw Pond Conservation Area , Birds of Open Shrubby Areas . Montgomery, Town of, Vermont; Land Records.